Founded in 1950 by William Rosenberg, Dunkin’ Donuts is a coffee and donut chain that started in Quincy, Massachusetts. Now, the company is based in Canton, Massachusetts, and is a global entity. The company not only does business in the United States, but also around the world. You can find the Dunkin’ Donuts application link below. As part of the fast food industry, this company has set itself apart by specializing in breakfast foods. With more than 11,000 locations throughout the United States and around the world, the coffee and donut restaurant is one the largest of its kind in the world. The chain now has restaurants in 33 countries outside the United States. While the restaurant primarily competes with Starbucks, it is unique in the fact that it also has to compete with places like Krispy Kreme, Honey Dew Donuts and other local donut shops. Over half of the company’s business is in coffee sales, however, so Starbucks is the major competitor for the chain. The chain sells a number of different coffee and pastry items. Iced coffee, coffee, teas, hot chocolate and “Coolattas” are all on the menu here. Aside from donuts, the company also serves cookies, muffins, bagels and breakfast sandwiches. Donut holes are called “Munchkins” at this donut chain. Surprisingly, donuts account for only eight percent of the company’s sales. Dunkin’ Donuts jobs span from corporate to entry-level. Corporate positions may be in fields such as accounting, finance, marketing, purchasing, customer service and human resources. These positions may require people to work at the headquarters in Canton, Massachusetts, so keep that in mind if you decide to fill out an application form. Store-level positions may be either entry-level or managerial jobs. Managerial job opportunities include store manager, assistant manager, shift manager and general manager. These positions may be paid as hourly or salary, depending on the position. Entry-level positions include baker, cashier and cook. These positions will be paid hourly and may be full- or part-time. How old do you have to be to work at Dunkin’ Donuts? To start working Dunkin’ Donuts careers, you must be at least 16 years old. The stores are open from 5 a.m. to 11 p.m., so keep that in mind when you apply. You may be asked to work earlier or later than you would at other places. The company offers a number of benefits to its employees, including flexible work schedules, a fun work environment and free and discounted food items. Eligible employees may also receive paid time off, sick days and medical insurance. Some employees may also be eligible for enrollment in a 401(k) retirement plan, as well. Manager – As a manger, employees will be responsible for helping with hiring, training and scheduling. This career requires someone who is patient, as those in this position will have to work with other employees and customers. If this position sounds like something you would be interested in, fill out a Dunkin’ Donuts application today. 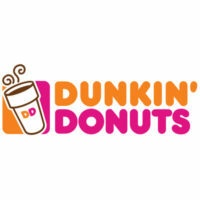 Crew Member – Crew member positions include Dunkin’ Donuts jobs as a cashier or cook. Each crew member should be comfortable interacting with customers, filling orders and cooking in the kitchen. These associates should be able to run a cash register and counting money. Crew members will generally make between minimum wage and $9 an hour. Baker – Bakers’ responsibilities include making the donuts and other baked items at the restaurant. Bakers are usually working unusual hours to get donuts and other goods made at the best times for selling them. This position is paid hourly and employees usually make between $9 and $10 per hour. Assistant Manager – Assistant mangers are responsible for acting as the manager if there is no manager on duty. These Dunkin’ Donuts careers are great for people who are interested in managing a store at some point. Assistant managers help the managers keep the restaurants running smoothly. Assistant managers typically make around $13 per hour. What made you interested in a job with this company? Interviewers are constantly looking to see what draws people to jobs with their company. This information will help them better understand the kind of people are who applying for jobs with them. What previous work experience do you have? While not all positions will require previous experience, having past work experience will help you snag a job over others who have no work experience. Be sure to keep your answer short and sweet, regardless of how much experience you have. Why do you think you would be good at the position for which you applied? Before you applied, you probably considered the skills that you would need for the job. You should tell the interviewer what traits you have that would make you a great fit for the position you want and why. How did you hear about this position? Companies want to know how people hear about job openings, because it will help them discover the best ways to market open positions in the future. It doesn’t really matter what your answer is, just be truthful. If you heard about the job from a current employee, share that with the employer, too. Where do you see yourself in five years? This question not only lets the employer get to know you a little bit, but it also shows them whether or not you have a good sense of drive and where your future interests may lie within the company. If you want to apply for jobs at Dunkin’ Donuts, you may want to apply online. You can browse Dunkin’ Donuts jobs online, read a job description for each position and fill out a Dunkin’ Donuts job application online. The website will walk you through how to apply for Dunkin’ Donuts online. To apply in-person, visit a local restaurant and request a free application. There is no printable application for Dunkin’ Donuts, and there is no place to select download application form. Since there is no printable application form, your only option is to visit a store to get applications. Because of all this, you may just want to fill out an online application. Regardless of how you apply, fill out a direct application and include your resume that outlines your previous work experience. You will want to make sure that your resume for entry-level employment opportunities is kept to one page. You will also want to make sure that your resume and application are free from typos and grammatical errors. If you are called in for an interview for one of the careers the company has to offer, be sure you show up well prepared. You can do this by reviewing some common interview questions like the ones listed above. You will also want to make sure you dress nicely and appear clean and organized.